← FREE Goozell Yogurt for the YEAR! 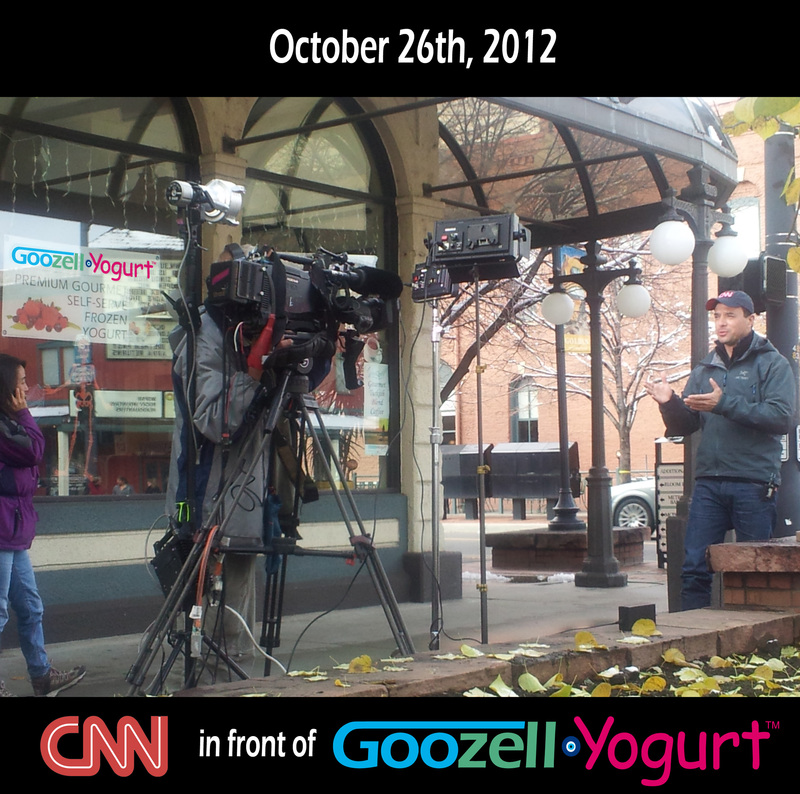 Miguel Marquez from CNN was filming in front of Goozell Yogurt for much of the day in Golden, Colorado. Though they say it was because of Colorado being a swing state in the 2012 presidential elections; unofficially, we are sure it is because Goozell is such an amazing place and we brought back our seasonal Turkish Lentil Soup yesterday. Mr. Marquez and the CNN crew were great. Thanks for visiting! Goozell Yogurt is a family owned and operated business located in the heart of historic downtown Golden, CO at 1200 Washington Avenue. Goozell offers gourmet self-serve yogurt, seasonal gourmet soups and their own custom blend of premium Turkish Coffee. Inquires can be sent to info@goozell.com or for additional information please go to www.goozell.com. CNN in Golden, CO at Goozell Yogurt. Oct. 26, 2012. 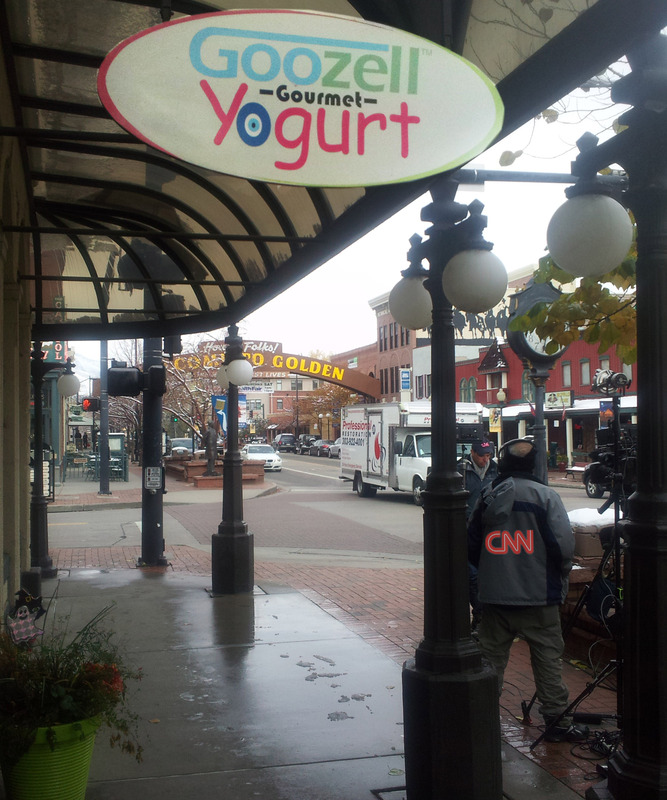 This entry was posted in CNN, Elections 2012, Frozen Yogurt, Goozell, Goozell Gourmet Soups and tagged CNN, Colorado, Frozen Yogurt, Golden, Goozell, Swing States. Bookmark the permalink.